Schools have failed our individual needs, supporting false and misleading notions of 'progress" and development fostered by the belief that ever-increasing production, consumption and profit are proper yardsticks for measuring the quality of life. Our universities have become recruiting centers for the personnel of the consumer society, certifying citizens for service, while at the same time disposing of those adjudged unfit for he competitive rat race. 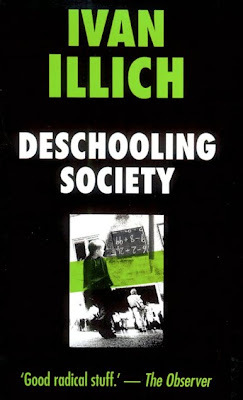 In this bold and provocative book, Illich suggests some radical and exciting reforms for the education system. The measures suggested in Deschooling Society, he argues, are necessary to turn civilization from its headlong rush toward the violence which frustrated expectations will certainly unleash so long as the school myth is allowed to persist.